Just steps from the Eno, this spectacular custom home has everything and more! A nest perfectly designed for casual living or entertaining a crowd. The kitchen features Subzero and Thermador appliances, quartz countertops, a pot filler, a butler's pantry/morning bar AND a walk in pantry! Other features include en suite baths for each bedroom, 4 garage bays & a spacious loft. Enjoy time on the screened in porch looking out over Eno State Park or, for that matter, just take a trail walk down to the river! Directions:I-85 N. to exit 170 onto US-70 toward NC-86 N. R onto Pleasant Green Rd., L onto Cabe Ford Rd., L onto River Stone Rd., home is on R.
SchoolsClick map icons below to view information for schools near 3890 River Stone Road Durham, NC 27705. Listing provided courtesy of 501 Nest Realty. 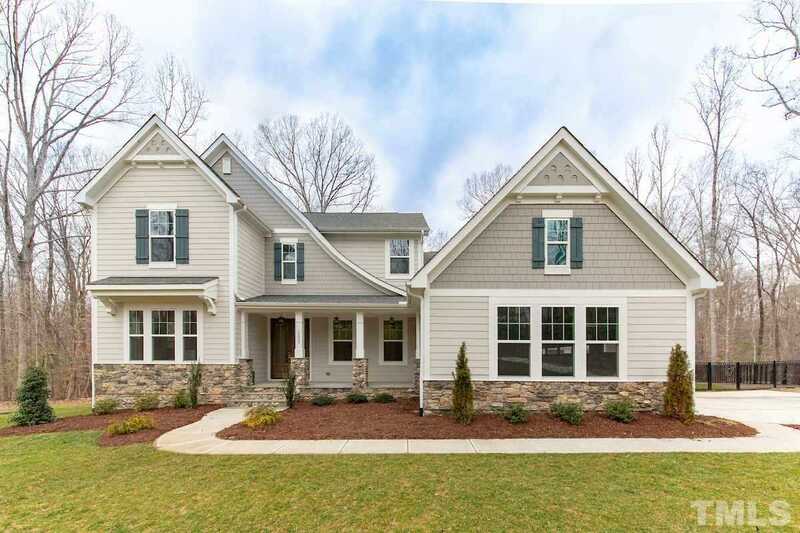 Home for sale at 3890 River Stone Road Durham, NC 27705. Description: The home at 3890 River Stone Road Durham, NC 27705 with the MLS Number 2236477 is currently listed at $835,000 and has been on the Durham market for 70 days. You are viewing the MLS property details of the home for sale at 3890 River Stone Road Durham, NC 27705, which is located in the Cabe Crossing subdivision, includes 5 bedrooms and 6 bathrooms, and has approximately 4244 sq.ft. of living area.